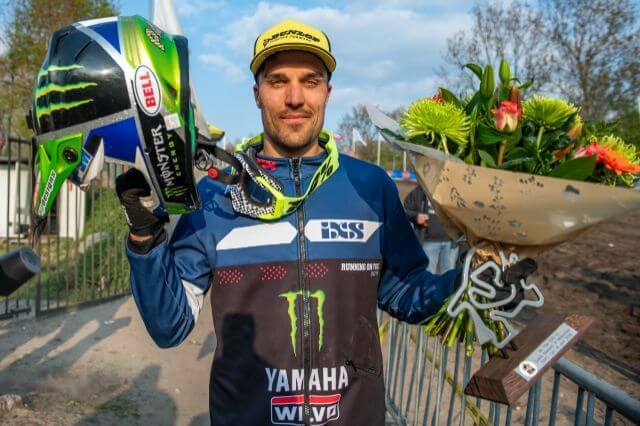 Gautier Paulin of the Monster Energy Wilvo Yamaha team finished on the podium at the first round of the Dutch Masters of Motocross in Oss. 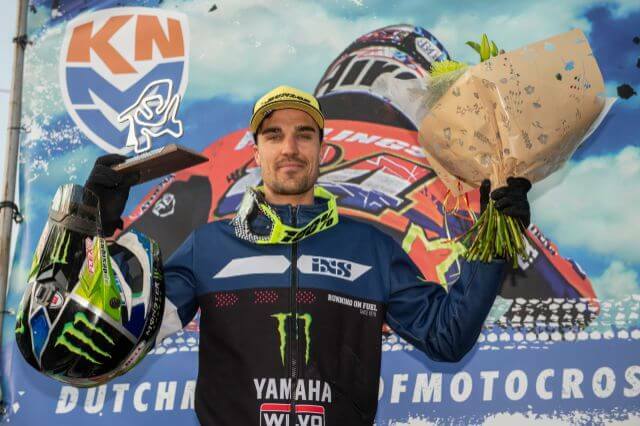 Paulin scored second place finishes in both heats on the technical sand track, ensuring him of second overall for the event. 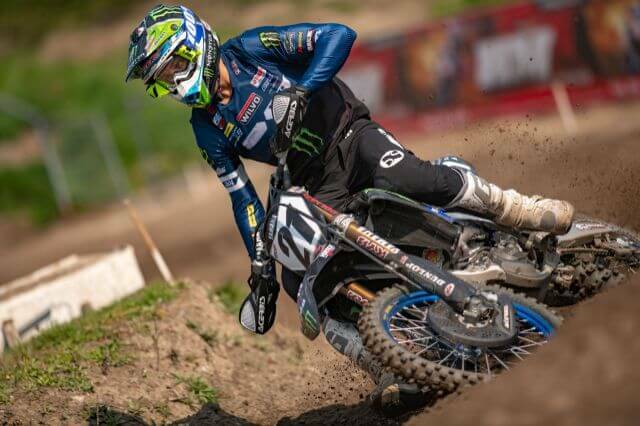 The team was represented by Paulin alone, since teammate Arnaud Tonus was prescribed some rest due to a nagging flu. 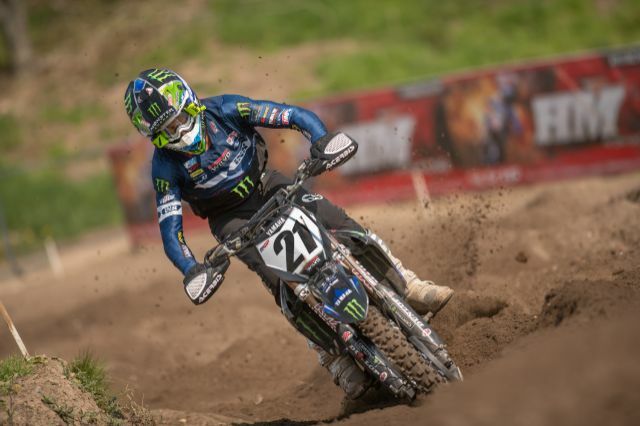 Paulin felt at home on the track, and promptly set the second fastest qualifying time. 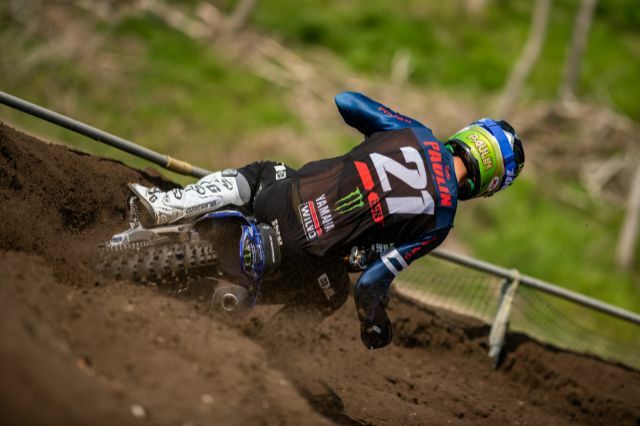 Paulin launched into a good start in race 1 on his Yamaha YZ450F. He kept the race leader in sight, but just could not pass for the lead. He rode a controlled race to finish second. The race program was delayed and the organisers reduced the final 500 class race to 20 minutes and one lap. Paulin again joined the leading group off the start. He moved into the race lead and held that in hand for a few laps. He was eventually passed, but kept the pressure on the leader. He made a lunge for the lead again but alas could just not succeed. 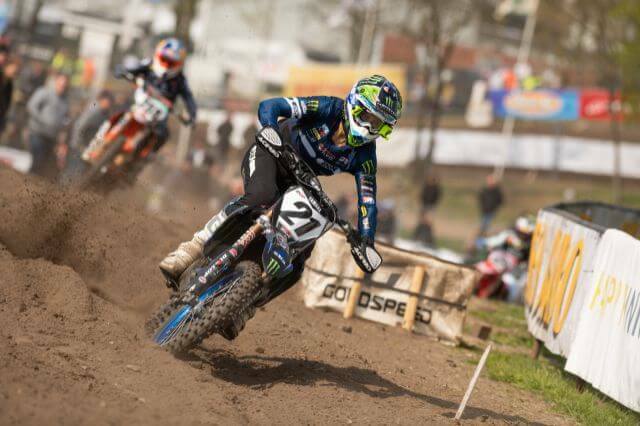 Paulin finished second overall, which after one round is also his championship position, a good launch into the series. The next round of the series will take place at Axel on 5 May.